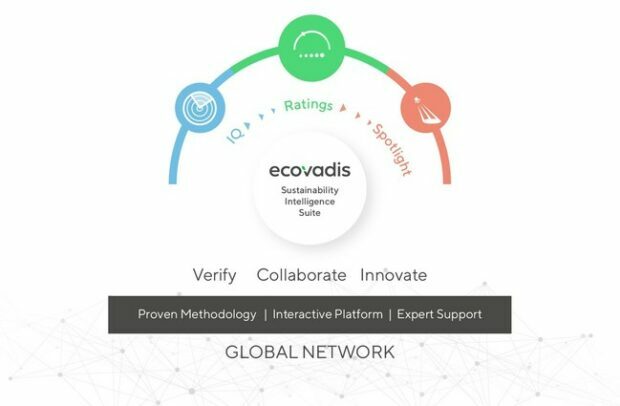 EcoVadis, the world’s most trusted provider of business sustainability ratings, announced its new Sustainability Intelligence Suite, an expanded toolkit that builds on EcoVadis’ expertise in business sustainability ratings to include predictive risk mapping, performance signals and audit management. 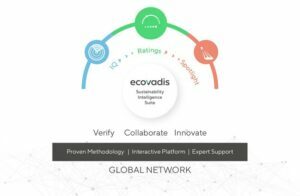 EcoVadis IQ, a new vendor risk mapping tool that will be available later this year, leverages the EcoVadis database of ratings, and uses smart automation and analytics to continuously screen the supply chain and map a company’s supplier risk landscape across all key sustainability criteria. Procurement, risk and compliance teams can use these insights, which are based on a large volume of suppliers, to understand where their biggest risks lie, inform strategy, and optimize CSR assessments and performance improvements. EcoVadis’ core offering, EcoVadis Ratings, provides deep sustainability and CSR assessments on selected suppliers. The leading methodology, which measures seven management indicators and covers 21 criteria across four themes of environment, fair labor and human rights, ethics and sustainable procurement, produces easy-to-use supplier sustainability scorecards that procurement and supply chain teams can use to get comprehensive benchmarks and corrective action plans that drive higher levels of sustainability performance. EcoVadis’ new on-site audit management platform, EcoVadis Spotlight digitizes the audit process from coordinating and scheduling to data capture, with standard templates for major audit providers and corrective action plan management. The tool equips teams to easily run comprehensive reports, share performance data and directly manage improvements with suppliers within the platform. Hey Buddy!, I found this information for you: "EcoVadis to Ignite Change with Expanded Sustainability Intelligence Suite". Here is the website link: https://www.duurzaam-ondernemen.nl/ecovadis-to-ignite-change-with-expanded-sustainability-intelligence-suite/. Thank you.